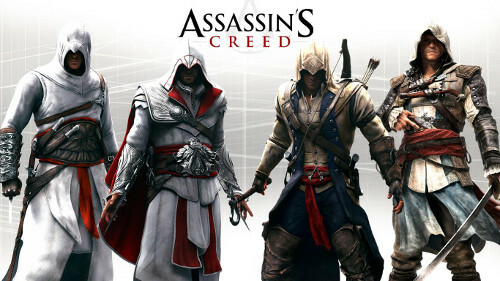 Assassins. Seems like they’re everywhere these days, murdering it up. So for Halloween this year I made my own modern-style Assassin’s Creed costume. 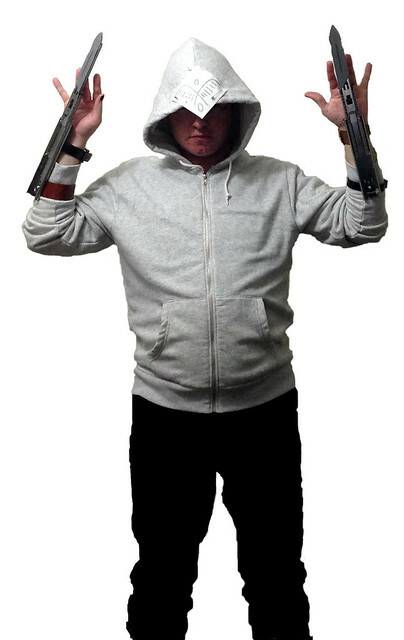 The white hoodie is pretty much standard as far as assassins go these days. The felt patch on the hood is a tribute to Connor Kenway’s patch in AC III. It’s clipped on with safety pins. And for good measure I’ve got dual hidden blades. My hidden blades use a pair of telescoping drawer sliders from a local hardware store. The “blade” is made from a freebie paint stir stick painted gray. It’s held to the slider with fishing wire. 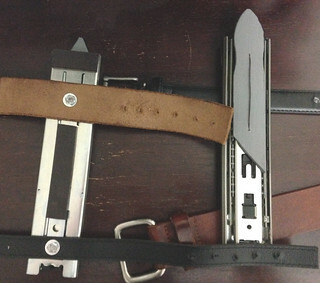 For the wrist straps I bought some old belts at Goodwill, cut them down to size, and bolted them to the opposite side of the slider. I glued a couple excess pieces of belt to this side for extra grip. 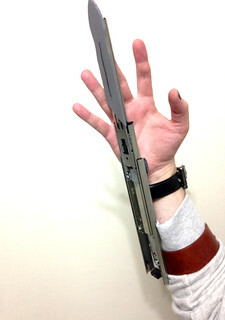 The blades pop out with a flick of the wrist and can be held in place with a finger. And of course we have an Apple of Eden. 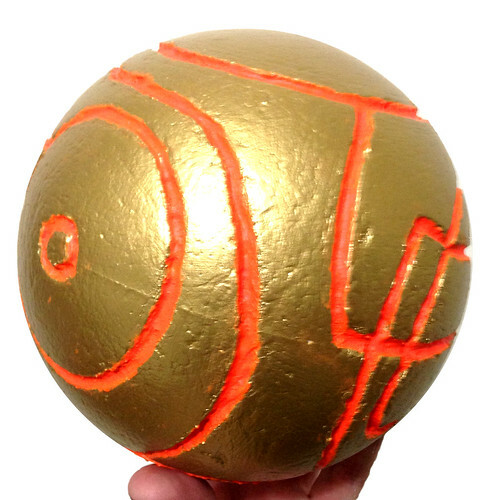 You can’t really call yourself an assassin if you don’t go around collecting artifacts from the First Civilization, so I made this one by dremeling out the lines in a styrofoam ball and painting it. The apples vary from one game to the next, this one’s more or less like the one Ezio found in the second game. And that’s all there is to it! If you spot anyone dressed as a Templar, please let me know.